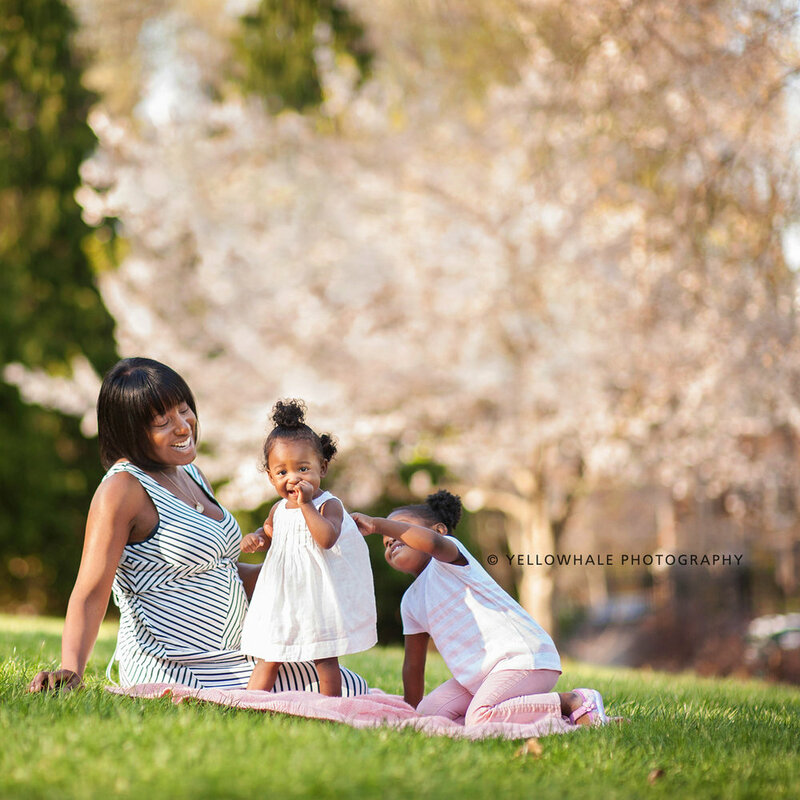 5 steps to achieve the best family portraits! I am so excited to give you tips on how to achieve the best portraits of your family this year. As a family portrait photographer with 14 years of experience, I have come up with the best way to approach this important process. Many times, my clients call me to schedule a portrait session without knowing what to expect and prepare. I have to walk them through the process with these tips to them to make sure we achieve the best results. Without knowing the purpose of your portrait session, the final outcome may not be at its full potential. So, the busiest time of the year, portrait season, is almost here. These are the five important steps to follow to achieve your swoon worthy portraits of your family. STEP 1. Find your WHY. Before starting, you have to know why you want the family portrait. It could be a wedding anniversary, a child graduating from kindergarten, or even that you lost 5 lbs. Some of the occasions when my clients call me are when they are expecting, the baby has just been born, her baby's first birthday, her parents' 40th wedding anniversary, her 10th year anniversary, they just moved to their dream house, her child is graduating from high school, the child’s sweet 16, she lost weight, a child just took off braces, she achieved a personal goal, and sometimes just because. I just had a client who booked a cap and gown portrait session for her first child graduating from a high school and ended up finding out that it was her 20th wedding anniversary, as well as her second child's sweet 16! It was their first family portrait for 15 years ago. You will always find a why, but you may just not know it yet. Later on, after time passes, you will have this documentation of life that you can look back on and cherish. There may be many reasons at once, but it is always a priority to identify them. Once you know why, determine what the best time of the year is for you and your family. In terms of events and activities of family members, when is the best time? When is the least stressful time for you? Life gets in the way of the perfect picture. Maybe your kids are on the swim team all summer long and they get totally tanned. Kid's sports team commitment may interfere with all of your weekend schedules during the season. Your work schedule may be too crazy at the moment. 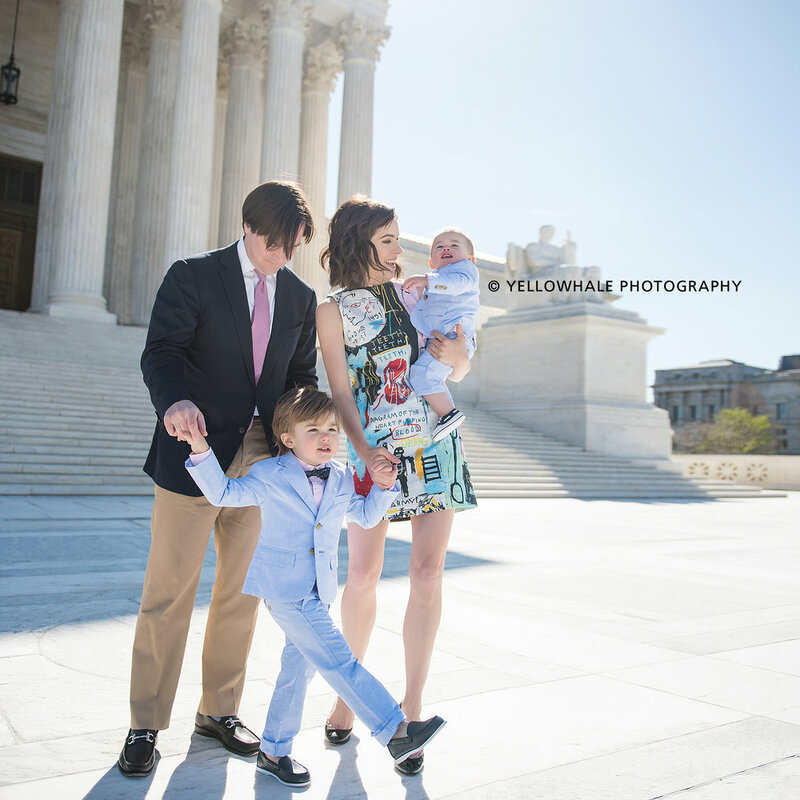 I always suggest my clients to plan their family portrait session as a yearly family event which is included in the family calendar – only second to family vacation! My favorite time to take photos with my family is always during the summer – when all my clients are away for their vacation, my kids are out of school, and my studio schedule is not as packed. I love going to different locations to have my family portraits taken, so we tend to pick the season of the year for family portrait in the beginning of the year. You could take your family portraits at the beach one year, and the mountains the next. Always determine your best time for the pictures so that you can relax and enjoy the whole process. Now, what are you going to do with your portraits? What’s the purpose of having them? Hang your pictures up on the wall and celebrate them every day in your home. You’re going to invest your time and resourses into these beautiful portraits, why not make the most out of it by enjoying them every day? Does your family sit down together in the family room all the time? Do you often play ping-pong together in the playroom? Do you spend your morning quiet time in your home office? Where do you enjoy your time together in your home the most? Is your coffee table decorated with meaningful items? Do you miss your little ones when you are at work? Either on the walls of your home or in a portrait album, there are many wonderful ways to be reminded of your beautiful family. STEP 4. Find photographers that fit your style. This step is a unique process for the individual. Look around your home décor and how you dress. 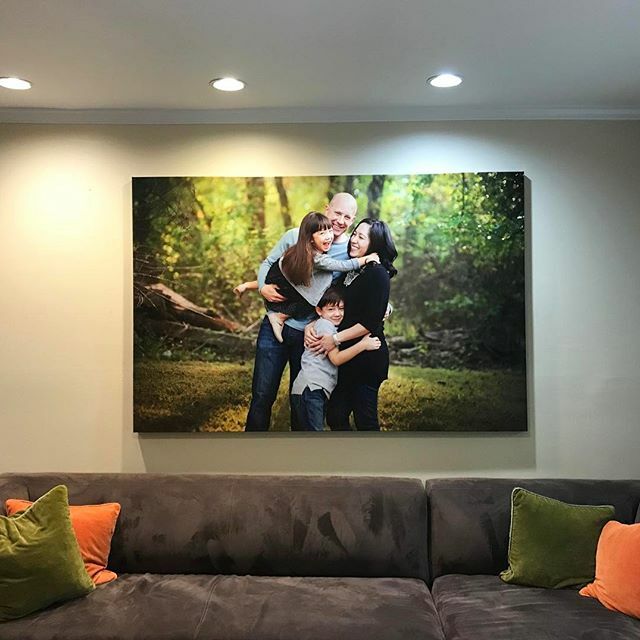 For example, if your home is modern and minimalistic, then find a portrait studio that can create the images that fit your style. 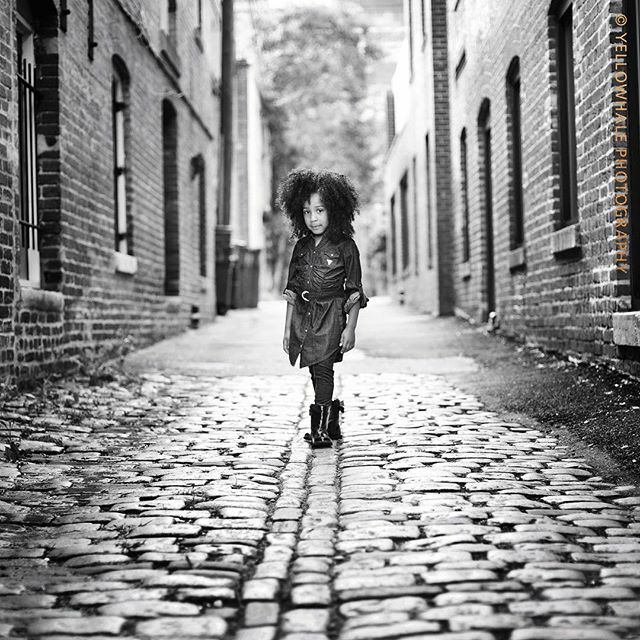 If your style is classic, there are tons of photographers who create more traditional and timeless images for you. My approach to creating family portraits always comes down to this. It is really important for the images of your family represent your style. If the images are not suitable for the decor of your house or even how you dress, the images are not the best reflection of you. At Yellowhale Studios, we custom design every portrait session for the individual client. From the selection of the location, the color of the outfit, the timing of the day, to the selection of the frames, size, and style of the wall art, and the material of the coffee table books, every step of the way will compliment you and your family. STEP 5. Schedule your portrait at least 2 months in advance. Having enough time to prepare your portrait session will give you more pleasure before and during the portrait session. It’s just like planning a dream vacation. When you know that you will be going to Paris next spring, you will research the location and the weather, and prepare your luggage accordingly. Last minute deals will always have hiccups somewhere. If it is important for you to have a holiday portrait done, you need to get into the photographer’s fall schedule even earlier because fall is the busiest season for photographers. At Yellowhale Portrait Studio, our October schedule is booked in the January of that year. If the portrait is rushed, you may not get the best images. You don’t want to lose this opportunity to capture these precious moments of your children’s youth. So many emotions today getting to see all my clients together that I was able to share in a piece of their life in 2015. I love each and everyone of these faces so very much. Booking Feb & Mar 2016 Sessions - 50% off session fee! It has been a while to post a blog entry. Hope you all had a great year! It has been amazing for me, may be I should say it was an epic spring and summer season. There were many wonderful travels to Europe and an amazing family vacation to Cancun - of course the studio got busier this year looking forward to launching a brand new service early 2016. It came and went in a blink of an eye and now I am working like crazy with fall sessions and making tons of holiday cards already. Today, while I am excited to announce that the remaining 2015 sessions are fully booked, I feel really bummed that I can not take any more of my favorite clients' fall sessions. If you were thinking of booking a session with Yellowhale this year, I do apologize for not being able to add you this time. However, please take this amazing opportunity to book your session in Feb/March 2016 at 50% off of session fee. As it is so hard to say good bye to summer (yes, I am STILL holding on to the beautiful memories from our summer vacation...), I am posting one of my favorite sessions from August. I have been documenting this beautiful boy "J" since when he was in mom's belly. I will be meeting with him again before this year is over. Watch how he runs around and hear he reads his favorite books, and don't miss him playing golf with his daddy.... This short video just wraps up my heart with beautiful moments. It is such a strong reminder of how much I appreciate being a family photographer to BE THERE with you. Last summer, we finally made a dream of ours come true: we opened our very own dedicated portrait studio here in Potomac, MD! After sharing space with a wedding photographer for quite some time just north of DC, we decided that opening this new studio would be a fantastic way to celebrate the 10 year anniversary of being in business, and it was definitely a fun night filled with good food, and great people. Our official Grand Opening celebration took place the evening of October 7, 2013, and included about three dozen guests. Old clients were excited to see the new studio and meet the rest of the staff, and new clients from the local neighborhood welcomed us with open arms. 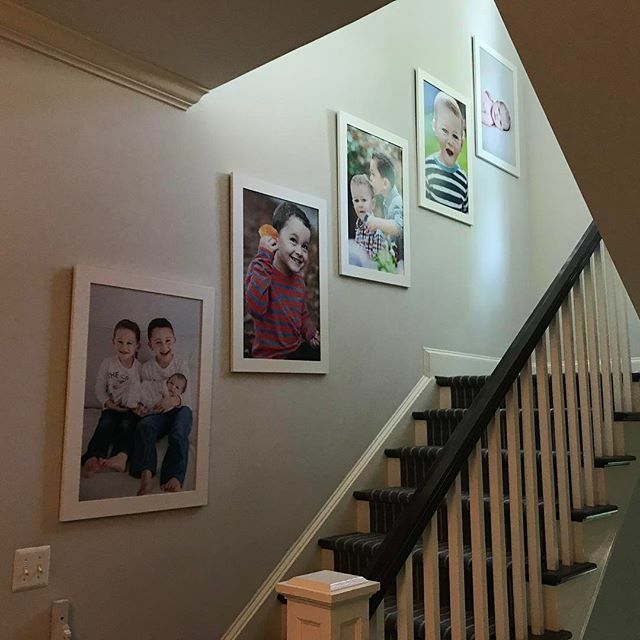 For three happy hours, we laughed & mingled, looked at photographs artfully enhanced by Chesapeake Framing, and enjoyed delicious concoctions from Georgetown Cupcake of Bethesda and Macaron Bee, located in the Bookhill section of historic Georgetown. Many favors were handed out, and prizes raffled off, thanks in large part to Doggie Styles, Inc., Daisy Baby & Kids, Bella Moda Salon & Spa, and MyGym in Potomac, MD. Everyone loved the goodies, so thank you again for giving our Grand Opening celebration that extra special touch! Guests enjoyed leafing through our Signature Coffee Table Book, getting nostalgic as they experienced a sweet baby grow from birth to one year old in pictures. Other items that were a favorite to peruse were the Photo Jewelry and Mini Flip Books – always some of our most popular holiday gifts. Of course, no one could pass by a large Canvas Custom Frame without stopping to enjoy it! Guests were so impressed by the products and images shown that quite a few took advantage of the Grand Opening Special we offered that night, and booked plenty of Mini Sessions, Family Sessions, and even a Baby's First Year Session. However, the best part of the evening – by far – was the champagne toast! After all, who wouldn’t be thrilled to celebrate new beginnings with so many past, present, and future clients? So now that you know we are officially open inside our brand new studio just a few blocks north of Potomac Village, MD, make an appointment to experience us! There, I shared my honest experience of having a beautiful portrait studio where I create images, call or meet my clients, spend hours of post processing/packaging/ordering everything needed to let me be what I meant to be, a portrait photographer. If you have been following my work, wanting to become a photographer, or thinking of opening your own studio, you may find this post helpful. Once you there, you will be able to find lot of other helpful topics to read. Tiffinbox is a great resource, you will want to sign a newsletter to catch all the goodness of views, reviews, and interviews of photography industry.